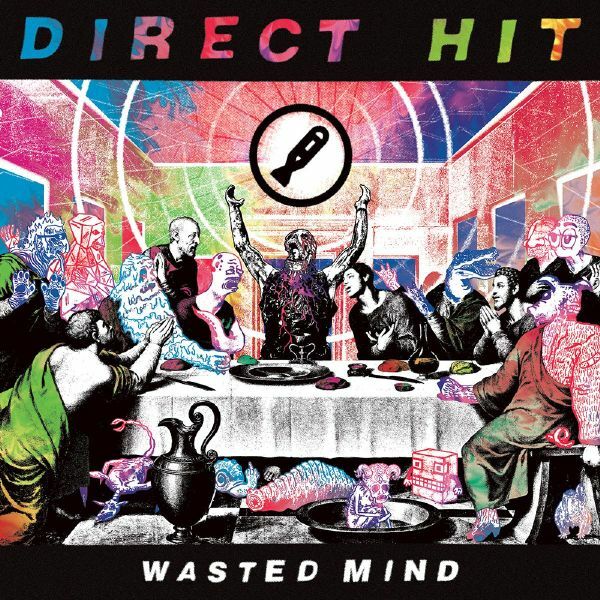 DIRECT HIT has been pumping out their own brand of pop-punk infused mind altering tracks for about a decade now. 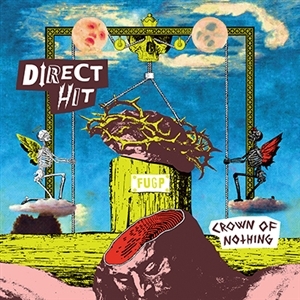 In 2011, after half a dozen EPs and dozens of demos released to the DH faithful on the internet, DIRECT HIT trew together a collection of these songs that would comprise their deubt full length Domesplitter. Two albums later, the latter of which being the acclaimed Fat Wreck debut Wasted Mind, we felt it was due timeto give Domesplitter a proper release. With new artwork, and an extended pressing (originally limited to 500 copies! ), the masses can finally hear the songs that formed the enigma that we call DIRECT HIT in their entirety. Direct Hit! is one of the most manic and unpredictable bands of this generation.Before their Red Scare opus, Brainless God, the boys did a bunch of split releaseswith all sortsa riff raff from the punk scene. You don't wanna think about the kindof bands that DH! hangs out with anyhow; it's like a scene from a movie whereThe Gremlins walk into Mos Eisley's Cantina. Yikes!Well, many of these songs are fan favorites but are hard to find, so we corralledthe band and got them to re-record and compile these unruly jams on one record.And here we are, 11 old/new blasphemous punk blasts from Milwaukee'ssketchiest dudes. Amen! 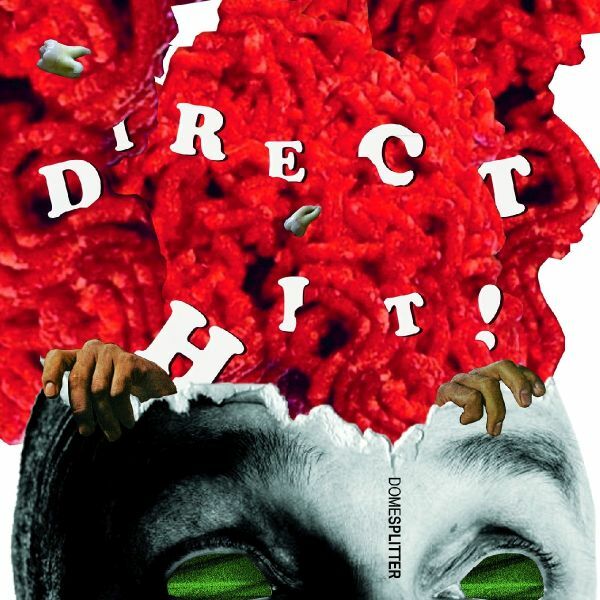 DIRECT HIT isn't a punk band so much as a collection of pureed grey matter. But this summer - with the help of Fat Wreck Chords - the Milwaukee-based group will make those mushy brains useful by releasing Wasted Mind: a 12-track concept album inspired by the warped sensibilities of such savage works as Burroughs' Naked Lunch and Thompson's Fear & Loathing in Las Vegas. Produced by All-American Rejects guitarist Mike Kennerty, Wasted Mind follows a cast of drug-addled, medicated and insane characters who check in and out of reality with reckless abandon. Musically it delivers on everything DIRECT HIT fans have come to expect: clever lyrical content, catchyhook-laden riffs, and driving pop-punk anthems. From "Forced to Sleep" to "Promised Land" to "Artificial Confidence," the massive polished sound of Wasted Mind begs to be sung/screamed along with.